Operatives of Federal Special Anti-Robbery Squad in Maiduguri have rescued Kashim Bukar-Dalori, the four-year old are from the Borno All Progressives Congress (APC) Chairman kidnapped on Wednesday. Operatives of Federal Special Anti-Robbery Squad (FSARS) in Maiduguri have rescued Kashim Bukar-Dalori, the four-year old are from the Borno All Progressives Congress (APC) chairman kidnapped on Wednesday. The News Agency of Nigeria (NAN) reports that the boy was kidnapped from school around 1 p.m. by an unknown woman who falsely claimed to be a relative. Demian Chukwu, The Borno police commissioner, had earlier said that police personnel had launched an investigation to rescue the child from his abductors. A source told NAN that three of the kidnappers were arrested in Maiduguri and Kano on Friday on their mission to collect N20 million ransom from a family member of the victim. The source said: "It has been an exhaustive investigation." The suspects, a male who pulled out to collect the ransom of N20 million in Kano, has also been arrested by our personnel. "The boy, who was kept in Albarka Hotel in Maiduguri by a lady, was rescued and handed over to the family. 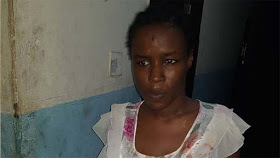 "It was after collecting the money that our IRT personnel from Kano arrested her, after they arrested, they promptly told us where the boy was kept, so we quickly mobilized our men and cordoned off the hotel in Maiduguri. "She was the one who went to the school and picked him up." Edet Okon, police spokesperson confirmed the story. Mr Okon said: "I can confirm that the APC Chairman that was kidnapped has been rescued and the suspects were also arrested. The suspects would be investigated and charged to court."